I am still in love with elements of farmhouse style, including galvanized metal used as home decor. 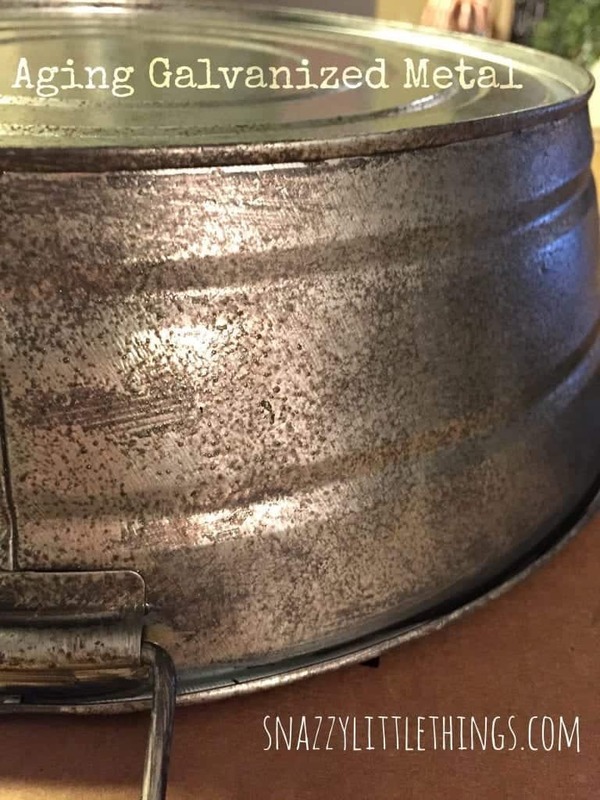 I came across this galvanized metal pail from Amazon, and planned to use it as a centerpiece. But once it arrived I realized it was a tad too shiny for my taste and it could use a little tarnish, but I wanted to age galvanized metal quickly. Here is the stock image from Amazon. To age the metal, I decided to hand paint the aged metal patina. I’ve read about aging metal using chemicals, but I didn’t have those materials on hand. 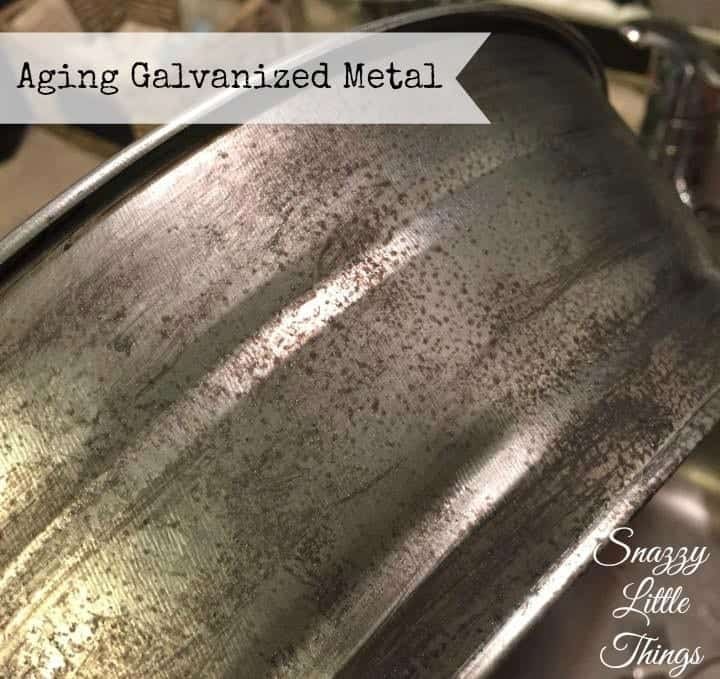 Plus, it would not age galvanized metal quickly, and I would have to wait overnight. So instead, I pulled out my Martha Stewart Craft Paint in “Gunmetal” — I always opt for materials that I already have lying around my house. Perfection isn’t required for aging. At first, I was planning to add another layer of copper paint, but I scrapped that idea once I saw how pretty it was with the natural metal showing through. My advice when aging a piece – don’t overdo your layers. When you do, sometimes the results backfire. It takes very little effort to get an aged effect that looks natural. 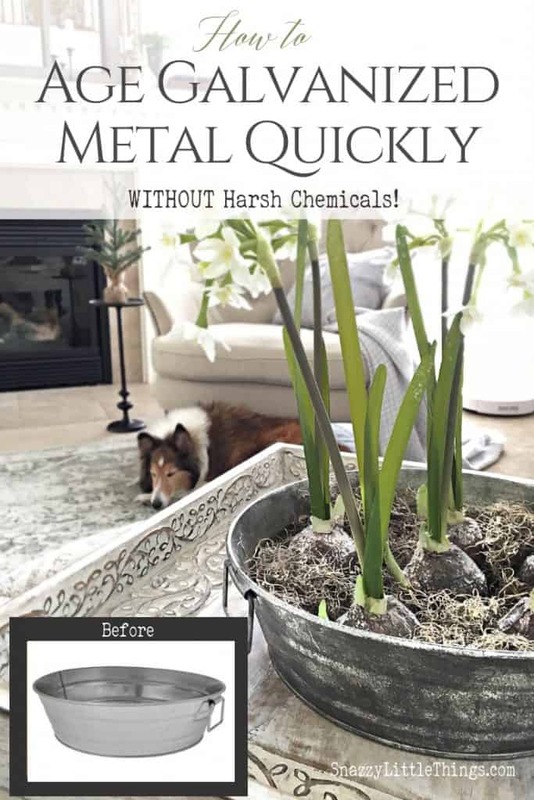 Plus, you achieve the aged galvanized metal look more quickly than you would using chemicals, and waiting overnight. So now, I have a farmhouse style centerpiece. Not busy. Just fresh, simple and pretty. And aged galvanized metal effect dried quickly, within an hour or so, I had a brand new centerpiece. As the weekend progresses I may add a few ornaments here and there. 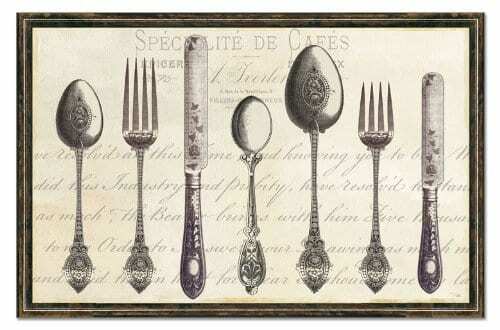 For our dinner party this weekend, I found these pretty paper placemats, a pack of 24 for only $7! It’s really hard to find things like this locally, and when I do they’re extremely pricey. (I found something similar for $24!!) Yet another reason I love stumbling around online, I always find items that look expensive that fit within my budget. I am a Prime Amazon member, so anything I order on Wednesday always shows up on my doorstep by Friday. 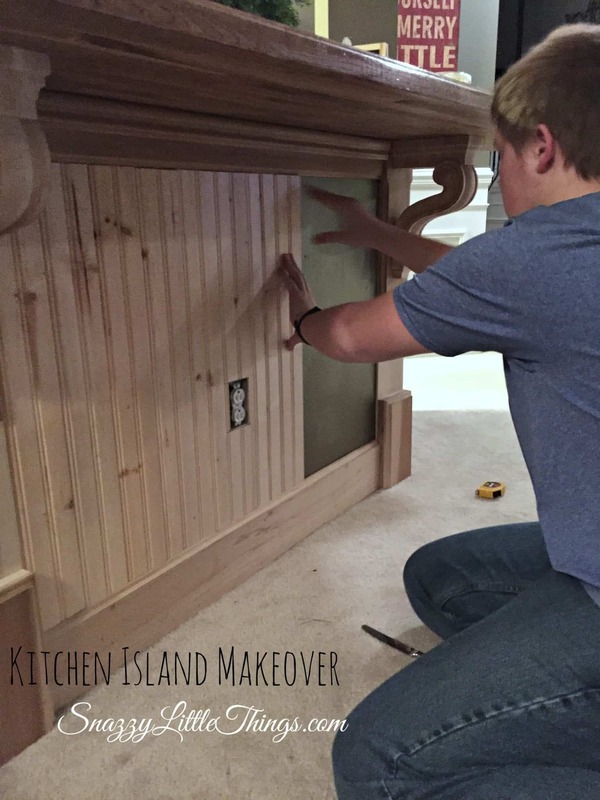 Perfect for party planning and DIY projects. Thanks for following along! 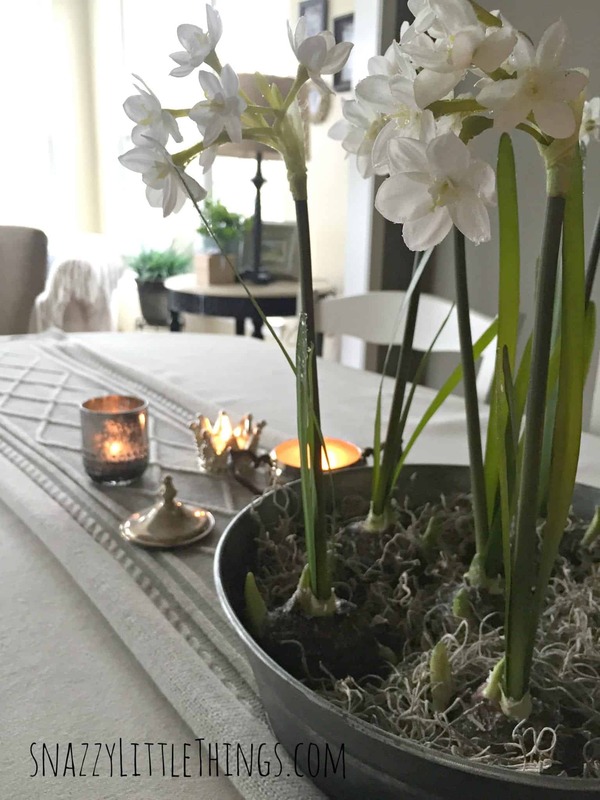 More simple holiday decorating ideas to come! Love what you did with the galvanized tub. BTW, I painted over my kitchen sink today, just too cold in the garage. Busy days ahead in 2015. Thanks for sharing at Vintage Inspiration Party. This is not a comment about your article , rather a comment about products at Amazon. 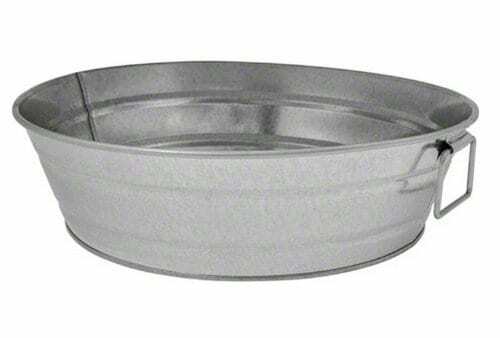 I followed your link to Amazon.com as I really LOVED your aged galvanized tub . My question to Amazon would be this . Why is the tub $4.59 in the US with free shipping if ordering over $49 dollars while the same tub (identical) is $43.08 plus $9.54 cents shipping on Amazon.ca. I feel exactly the same way!! Shipping to CANADA is astronomical!! ‘Authentic’ it will look, at a price anyone would be pleased with. I purchased the spray paint at Walmart for less than $8…….So for under $10 and no shipping costs, You too can create this look!! I realize this was posted a couple of years ago but the option would still be stunning!! What products did you use on the tub? 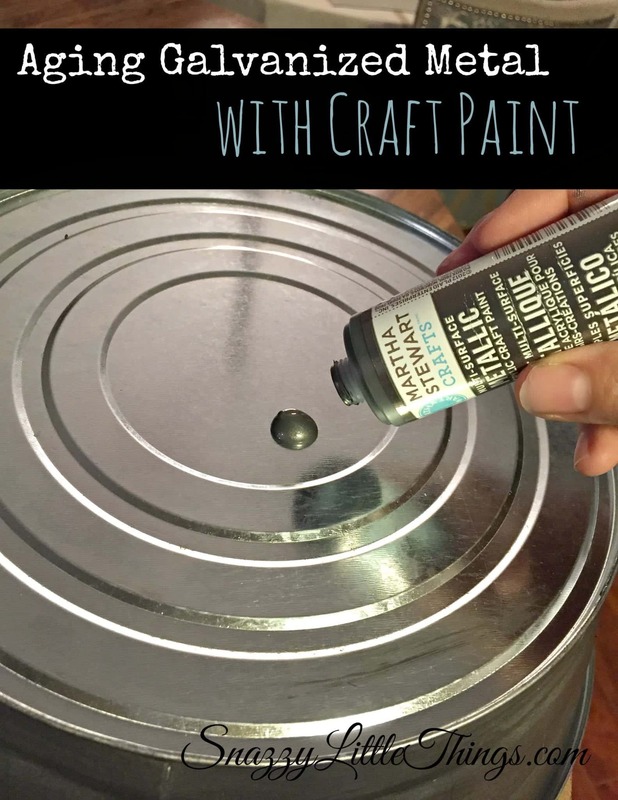 She stated that Martha Stewart Gunmetal grey craft paint was painted on and then while still wet She used a damp sponge to wipe it off creating the spotty finish that gave the Metal Container the aged look w/o the use of Chemicals. I will definitely remember this idea and try it out. I might even seal it after painting so I can use it on the deck. Thanks! I love that this is aged without chemicals! I am choosing your project to feature next week on Talk of the Town.